Thank you to our Sponsors, Participants, Oakland Community College Highland Lakes Campus, and Volunteers. 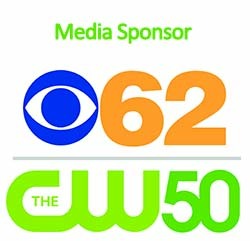 Registration 7:30 a.m. Race 9:00 a.m.
We love our volunteers and sponsors including Oakland Community College and our media sponsor CBS 62/CW 50! Our honorary chair Chief Forecaster Karen Carter will emcee the event. We will offer a special Memorial Tribute this year for our Race Founder, Julie LeBlanc. YOU MUST SIGN THE WAIVER BELOW Waiver: I hereby waive all claims against Open Door Outreach Center, Inc., Michigan RunningFoundation/Chuck Block, Oakland Community College Highland Lakes Campus, Sponsors, Volunteers, Employees and Agents, Municipalities or any personnel,for injury I may suffer in this event. I attest that I am physically fit and prepared for this event. 18 years of age OR the legal guardian of anincapacitated and/or mentally challenged person in order to agree to the text below.